P.L. Custom Body and Equipment Co., Inc. (PLCB) is pleased to announce the addition of Kaza Fire Apparatus Sales & Service (Kaza Fire), a division of Kaza Fire Equipment, LLC to its growing family of distributors. Kaza Fire will be providing sales and service to emergency services providers in the western half of the Commonwealth of Pennsylvania. In addition to providing sales and service for PL Custom Emergency Vehicles and Rescue 1, Kaza Fire will be able to provide remounting and specialty conversions through PLCB as well. 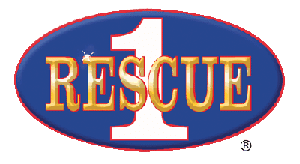 Andy Kaza, founder and President of Kaza Fire Equipment, LLC, stated that, “We are very pleased to be adding PL Custom Emergency Vehicles and Rescue 1 to our product offering. During our 45 years in business, we have partnered with some of the best manufactures in our industry. This is why we feel so strongly that PL Custom and Rescue 1, will be a great addition to our emergency vehicle product line up”.